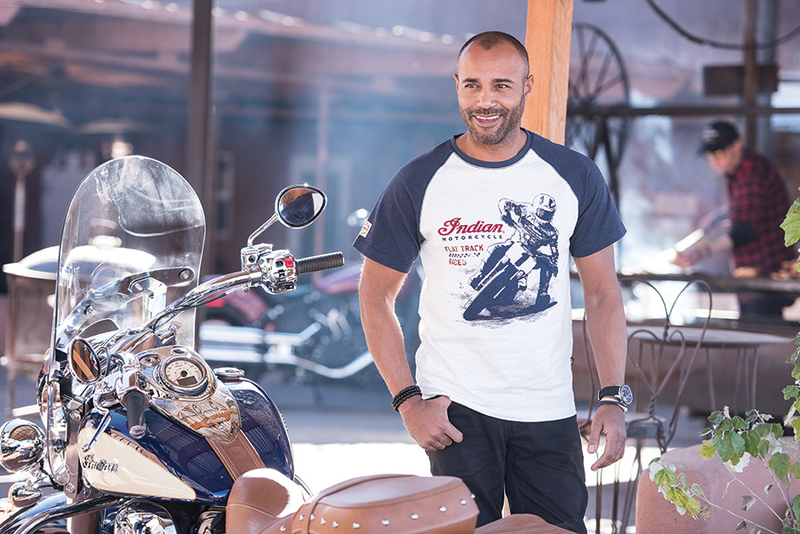 Ahead of the new riding season comes this expanded range of Indian T-shirts. For review requests please email press@indianmotorcycle.media. We’d appreciate if you can email us links to your coverage or PDFs for any (or all) of these T-shirts that you feature. 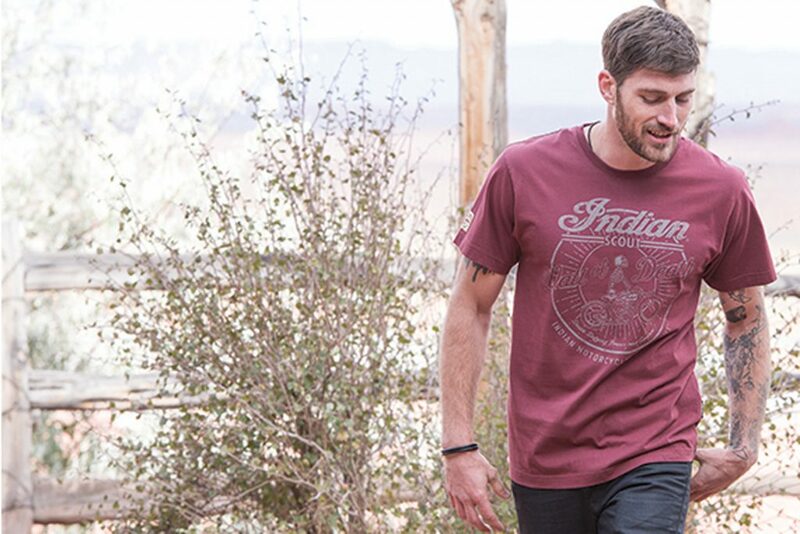 This tee celebrates the daredevil exploits of the legendary Wall of Death riders and the Indian Scout. A large print on the front shows the Scout in action. 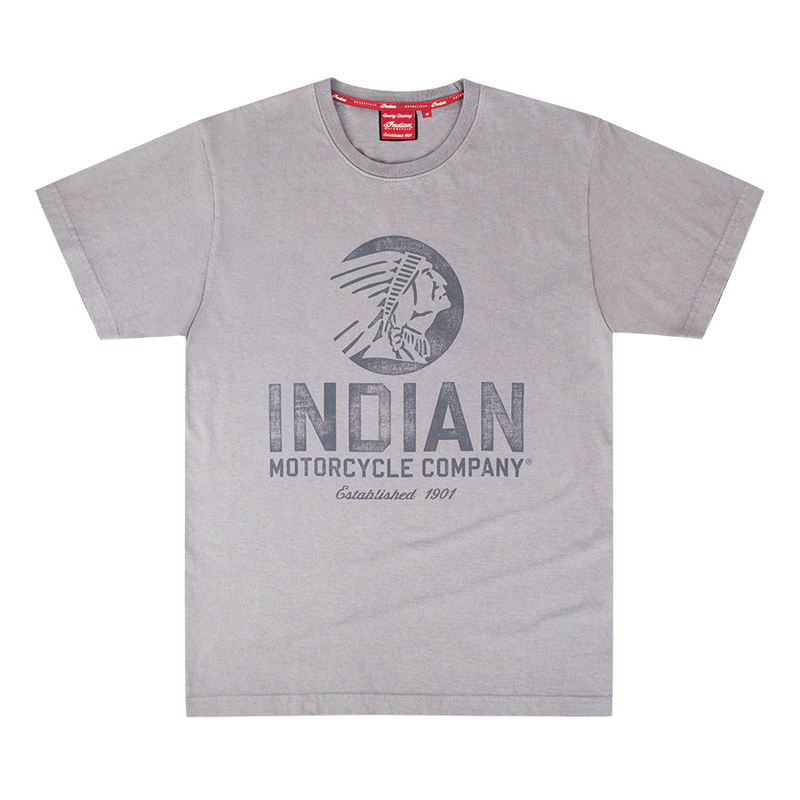 This light grey tee features the Indian Motorcycle circle icon headdress printed large across the chest in a distressed discharge print, and a small logo at the back neck. 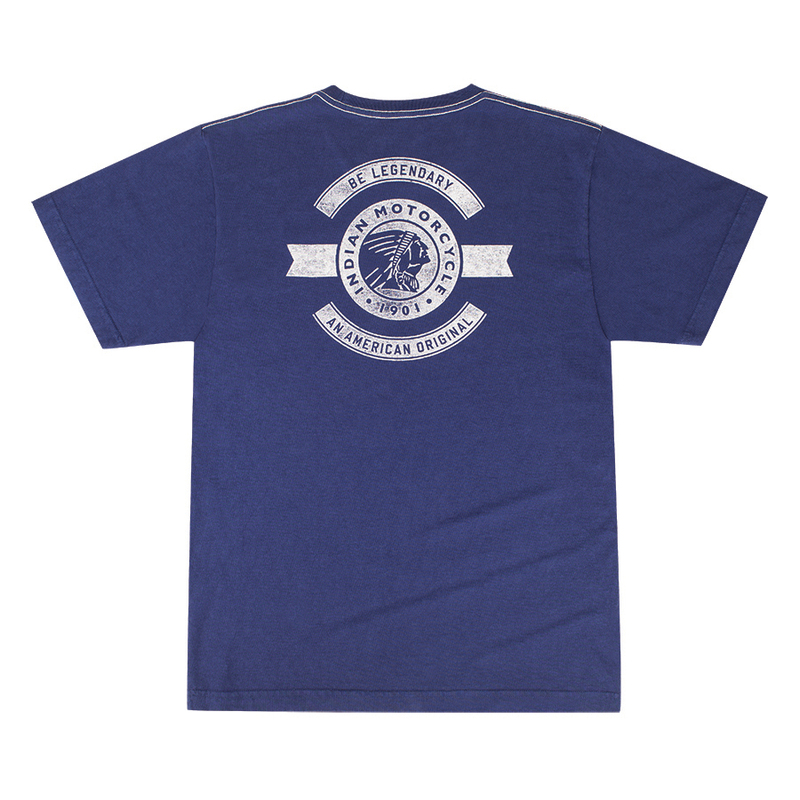 This navy tee shows the Indian Motorcycle icon logo printed large across the back, in a distressed print. 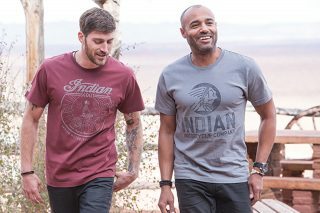 The Indian Motorcycle logo is printed small on the front on the chest. 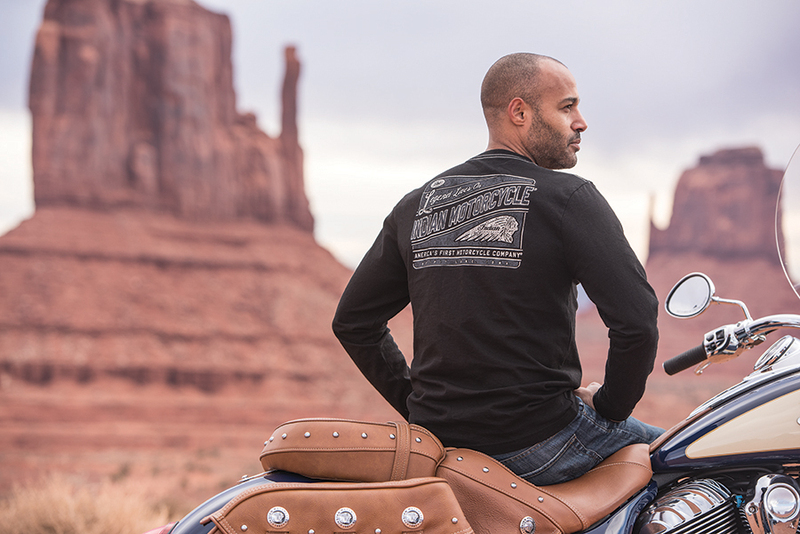 A long sleeved tee, with a large graphic printed across the back, celebrating the legendary Indian Motorcycle. A small logo is printed on the front. 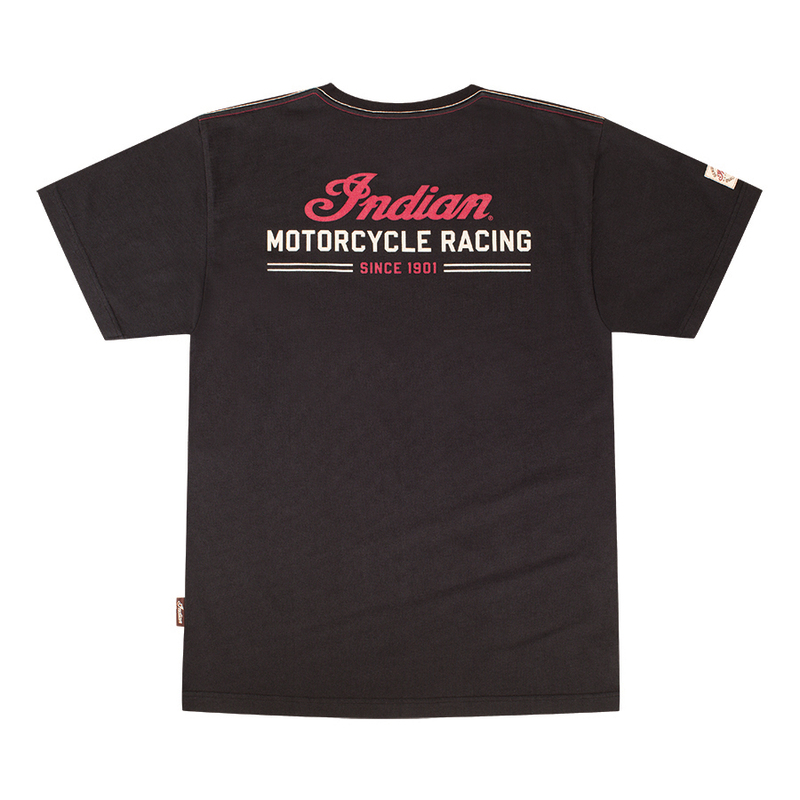 A black tee featuring a large Indian Motorcycle® racing logo across the back, and a small logo at the front chest. 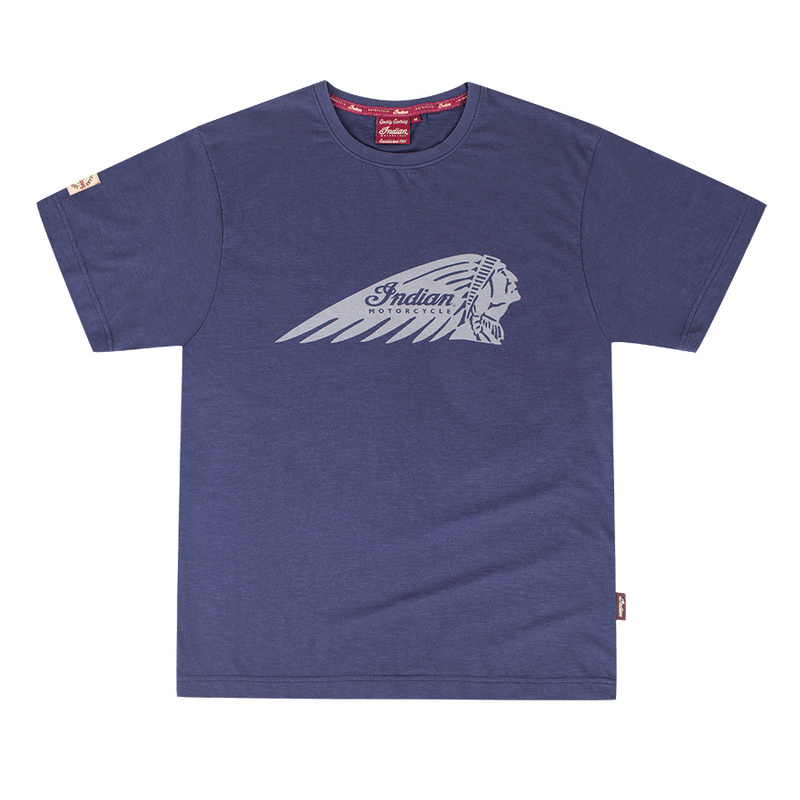 This simple tee comes in navy, and features the Indian Motorcycle headdress across the front, in light gray. 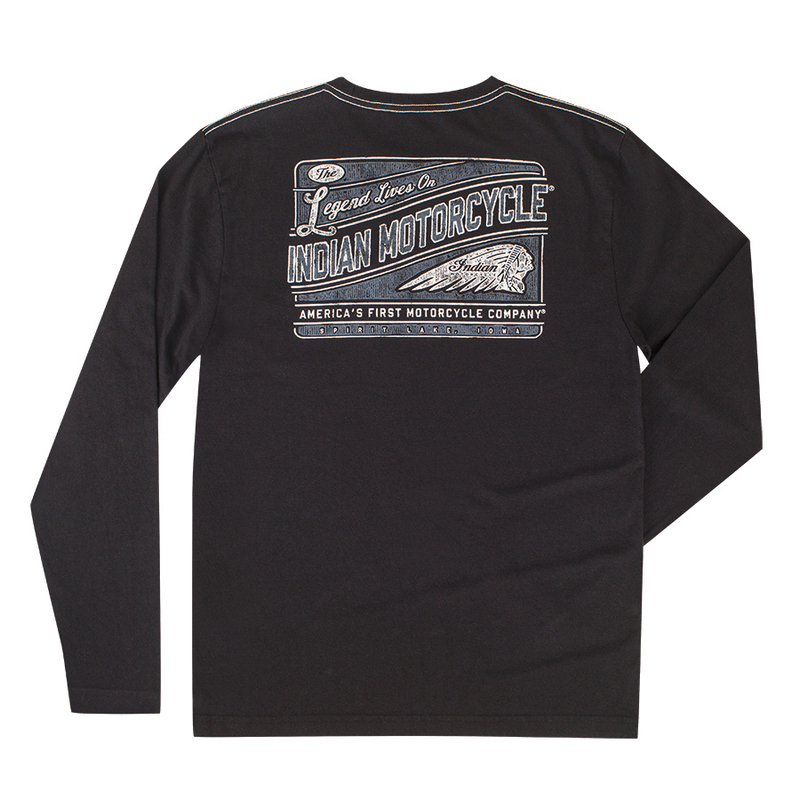 This gray marl tee features the Indian Motorcycle headdress logo and graphics relating to land speed records and the World’s fastest Indian. 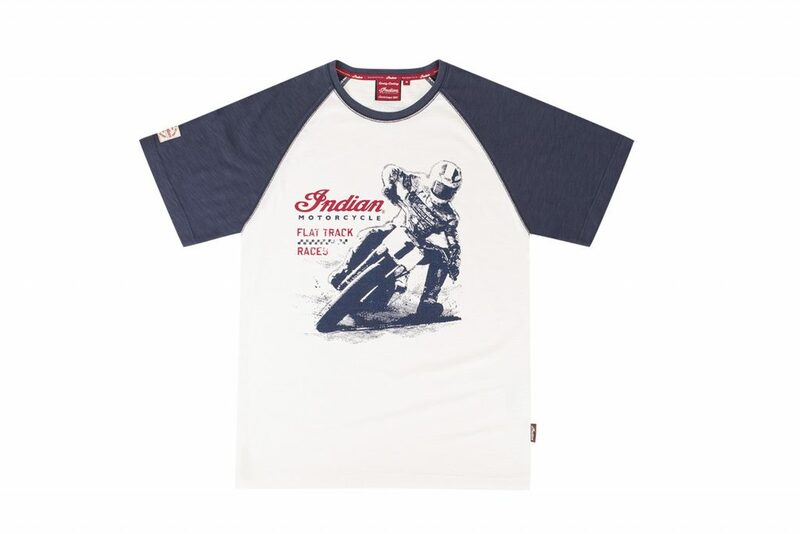 This raglan tee has a large distressed front graphic, celebrating Indian Motorcycle’s return to Flat Track Racing. GRAPHICS: Large distressed flat track print on front; small logo at back neck; woven patch on right sleeve. 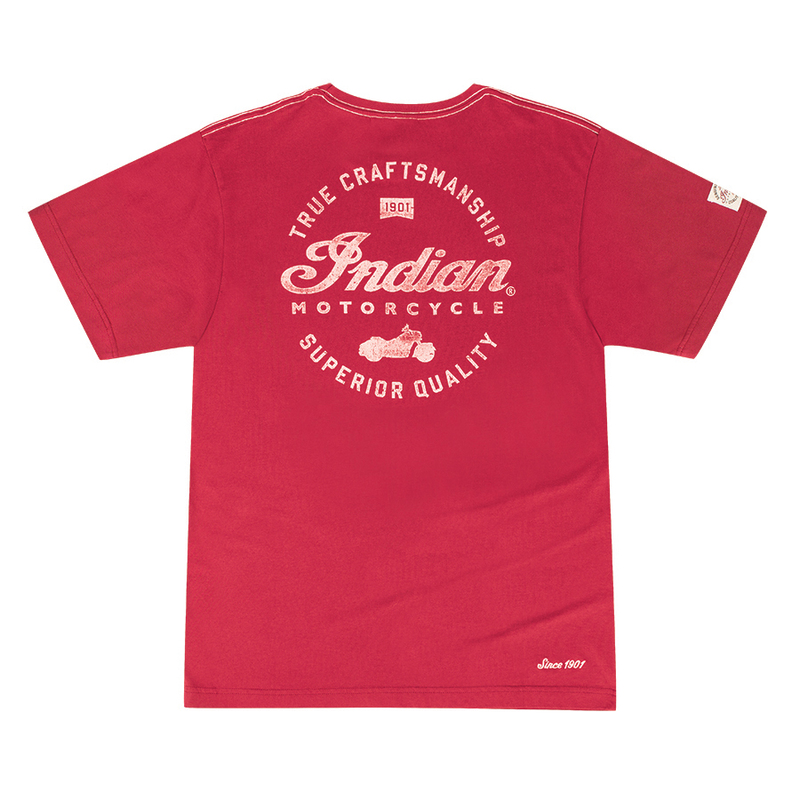 An Indian Motorcycle red tee, with a large distressed back graphic on the rear. 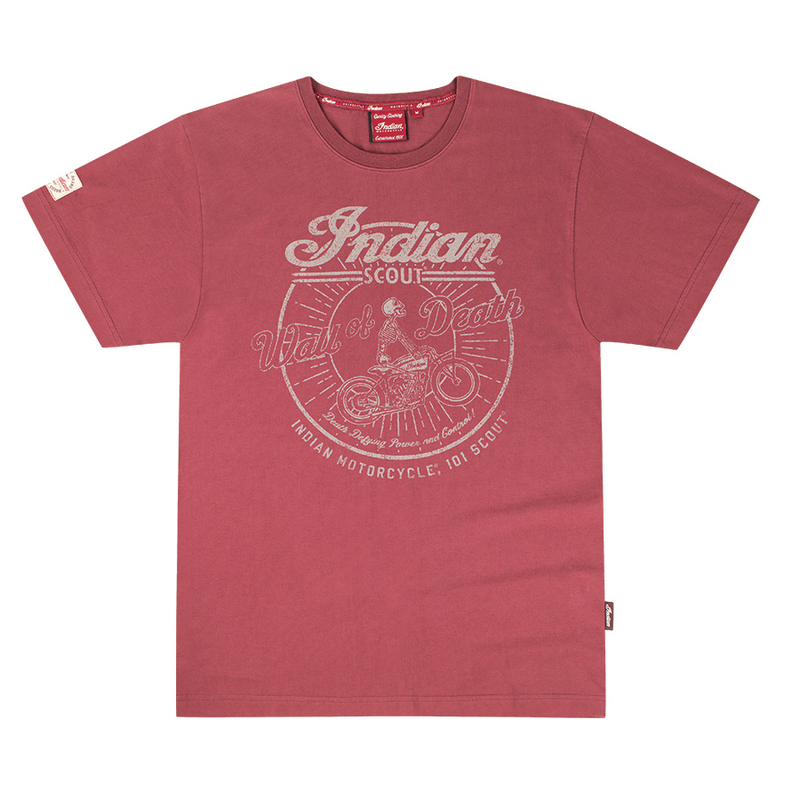 This tee celebrates the ‘superior’ quality of Indian Motorcycle. 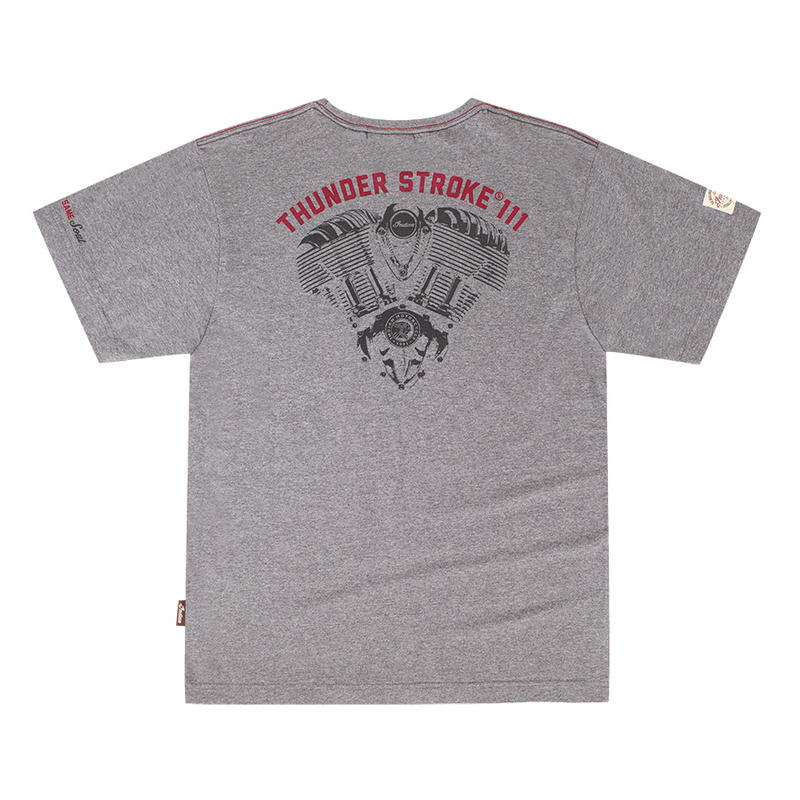 This tee celebrates the powerful Thunder Stroke 111 engine, with a large logo at the front, and a large Thunder Stroke 111 graphic on the back.